Mesmo. Quer dizer que o refresh do refresh das RX vão acontecer muito em breve, ou muito em cima dessa data? 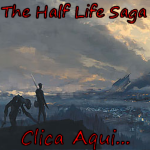 Não me digas que foi pedir algumas ajudas ao Primo! Não sei. Mas promete e muito. As Fury iam ser as Titan killer e as "overclockers dream", as Vega iam ser as poor Volta, agora são as Navi, que vão ser a coisa mais fantástica de sempre! E depois há uma coisa curiosa que me tenho apercebido por essa internet fora, só se fala da AMD e os 7nm, AMD e os 7nm, AMD e os 7nm. Pelos vistos os 7nm vão ser exclusivos da AMD, a Nvidia vai toda a vida competir com 16nm e 12nm. We already know that AMD's Radeon Navi series of 7nm graphics cards will launch in 2019, but at the time of writing AMD has remained tightlipped about their next-generation graphics architecture, so much so that we don't know what to expect from the series in terms of both features and performance. Now, AMD's Radeon Navi series of graphics cards are rumoured to release around a month after the company's Ryzen 3rd Generation processors, which are expected to launch in mid-2019. This leads us to believe that Navi will release around August, potentially around Siggraph and Gamescom 2019. As a gaming-focused product, a Navi launch at Gamescom makes a lot of sense, though it is possible that AMD will have short tech demos for Navi before this time, perhaps giving us an early showing of the architecture at Computex or E3. 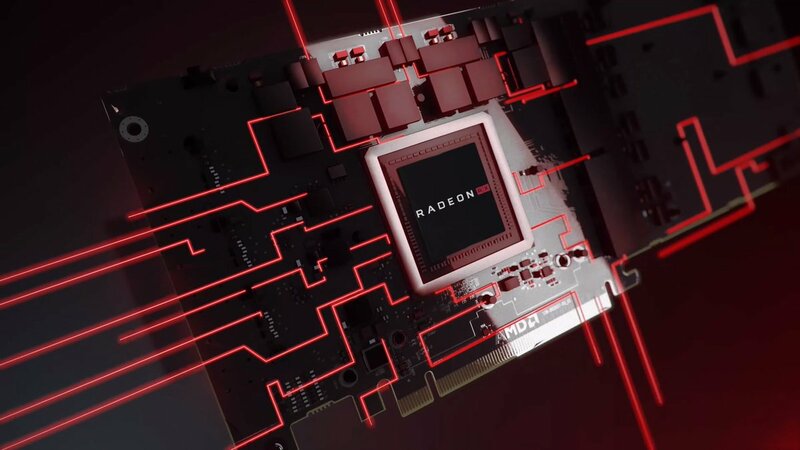 This report comes from Wccftech, who had accurately reported on Mike Rayfield's departure from AMD before its official announcement and accurately reported on the Radeon VII before the product's reveal. Navi is expected to be a major departure from AMD's older GCN-based graphics products, though at this time it is unknown exactly what the architecture will feature. Early roadmaps for Navi reference both "scalability" and "next-gen memory". This likely references how AMD plans to scale into the high-end of the graphics market with the architecture and plan to use modern GDDR6 memory. So starting off with the Navi 20 details, we first have the alleged Ray Tracing support and to be honest, I think it’s very likely that AMD would introduce their own take on Ray Tracing, especially when Crytek recently demoed their first ray tracing demo based on their CRYENGINE on an AMD Radeon RX Vega 56 graphics card. AMD would like to support Microsoft’s DXR API and provide a more open-source ray tracing feature support as they have done so with many other technologies in the past, e.g. TressFX, Freesync, OpenCL. We are still a few months away from getting our first official look at AMD’s new Navi GPU based graphics cards but it looks like we have some new details coming in from the rumor mill. There have been many reports recently about AMD’s Navi GPU based Radeon RX graphics cards that could be launching in the second half of 2019 and while they are aimed at the more budget-tier audience, details of a second Navi GPU which is aimed at the enthusiast tier have been revealed by RedGamingTech. Now the details that are mentioned are broken into two parts, one is for the initial AMD Navi cards that utilize the Navi 10 GPU architecture and the second is for the high-end, enthusiast grade parts that would feature the Navi 20 GPU. According to RedGamingTech, the details were acquired from sources who have been very accurate in the past as per their claim. The details say that before Raja Koduri, AMD’s ex-head of Radeon Technologies Group, left the company, one of his major tasks was to fix many of the weaknesses in the GCN architecture. The reason to do this was to let AMD RTG focus on both, producing a next-gen architecture while working on GCN iterations to remain competitive against NVIDIA GeForce and Quadro lineups. Now we have seen that this strategy worked well for AMD in the mainstream market but their flagship products weren’t necessarily the best or to make it simple, king of the hill products that AMD wanted them to be but rather side options to NVIDIA’s enthusiast offerings. AMD’s new roadmap is for the entire RADEON brand (including the professional Instinct series) and very tentative in nature. The reason why Vega didn’t live up to the hype was that when Raja joined RTG, the design of the Vega GPU was very much completed and there was little he could do. The actual goal for Raja was to work on Navi GPUs which would still be based on the existing GCN architecture but further refined through fixes to let’s say, the geometry engine, as reported by RedGamingTech. Now it is possible and very likely that AMD had finished the design for Navi much before Raja left RTG. But what happens to Navi when it goes into the development phase, that’s something we are really close to finding out now as rumors are alleging a launch of the first Navi based Radeon RX cards in mid of 2019. It is also said that the internal ray tracing performance estimates look really good and AMD Navi 20 GPUs may end up being competitive or even faster than the competing NVIDIA GeForce RTX cards (Navi 20 flagship vs GeForce RTX 2080 Ti). It is also stated that HPC or datacenter cards based on the Navi GPU architecture would be very different compared to consumer parts. They are likely to feature a more custom SOC oriented design, slightly similar to what NVIDIA does with their top end Tesla parts. But we have to take into consideration that AMD’s Navi 20 GPUs will be launching a year after the Navi 10 mainstream parts. So that puts the launch to around 2020 which is still pretty far away. 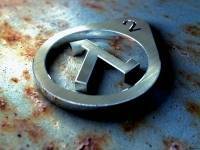 At the same time, NVIDIA states that they don’t have any plans to rush to 7nm right now as they can achieve much competitive performance to watt figures on 12nm FinFET process so it’s possible that NVIDIA could be aiming for the enhanced 7nm+ or 5nm node, completely excluding the 7nm process off their tables. Other than that, we are hearing reports that AMD Navi GPUs may introduce features such as Variable Rate Shading which would be available across the Navi architecture. We have also seen various reports which indicate that Navi GPUs would be the underlying graphics architecture of next-generation consoles from Sony and Microsoft so looks like Navi, while being the last GCN based GPU architecture, might end up capturing multiple markets for AMD and be competitive at the same time.